The scheme that assesses claimants of disability benefits faces a major overhaul, with ministers promising to extend a "revolution" of getting more people into work. 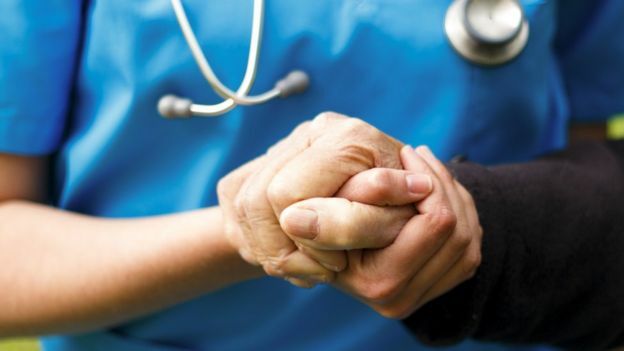 A consultation on reforming the Work Capability Assessment was announced on Monday. 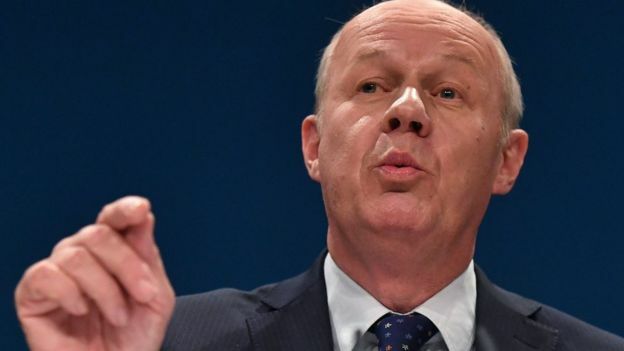 Work and Pensions Secretary Damian Green said he wanted a "personalised" way to help more people find jobs. The charity Scope said it welcomed the planned changes. Both Employment Support Allowance (ESA), which is paid to more than two million people, and the assessments, were originally introduced by Labour and then expanded by the coalition government. The consultation follows the announcement that people with severe conditions will no longer face reassessments for their benefits. It will examine how people receiving ESA can be helped back into employment without having their benefits put at risk while they search for a job. Mr Green told BBC Radio 4's Today programme: "We need to change across the system so we will be changing so it's no longer just a binary assessment... much more personalised." Saying he did not want to "categorise" people, he added that he wanted to change the "mindset" of businesses: "We want them to realise that there's a huge pool of talented people who are disabled and want to work and can contribute fully in the workplace." Mr Green said: "We've got historically high employment levels. We want to spread that so everyone can enjoy the revolution that we have seen in job creation in the last few years." The Department for Work and Pensions places claimants assessed eligible for ESA in either the "work-related activity group" or "support group". The work-related activity group means officials have decided a claimant's disability or health condition currently means they are unable to have a job but are capable of making some effort to find employment. They receive up to £102.15 a week in ESA payments while attending employment-focused interviews and training. From April 2017, payments will fall to £73.10 for new claimants, bringing the rate into line with Jobseeker's Allowance. Those in the "support group", who have been deemed unable to work and are not required to do anything to improve their chances of finding a job, receive up to £109.30 a week. Mr Green said it had been envisaged that "about 10%" of those assessed would end up in the support group, but it was actually "about 50%". He added: "In the long run there's nothing more expensive than saying we are going to leave people on benefits for a lifetime. It's expensive and bad for the individual…The idea that sitting at home, living only on benefits, is in any way good for people is completely wrong." Former work and pensions secretary Iain Duncan Smith, who spearheaded the government's welfare reforms for six years before resigning in March, agreed ESA was "in real need of reform". For Labour, shadow work and pensions secretary Debbie Abrahams called for the assessments to be scrapped, saying they caused "needless misery and stress" for thousands of sick and disabled people. She said the government's approach was "ideologically driven with the sole purpose of targeting the most vulnerable in our society to pay for their austerity plans, painting disabled people as scroungers and shirkers, whilst making no impact on the disability employment gap". Scope chief executive Mark Atkinson said: "The current fit-for-work test doesn't accurately identify the barriers disabled people face in entering or staying in work. "An assessment should be the first step to getting support and should be separate from determining benefits entitlement." The Equality and Human Rights Commission's chief executive, Rebecca Hilsenrath, suggested apprenticeship schemes could use positive action to employ more disabled people. Citizens Advice said it dealt with 25,000 issues around Work Capability Assessments last year, saying the reforms should make the test "fair, consistent and right first time".